Hi friends! I wanted to share this amazing find with y’all today! 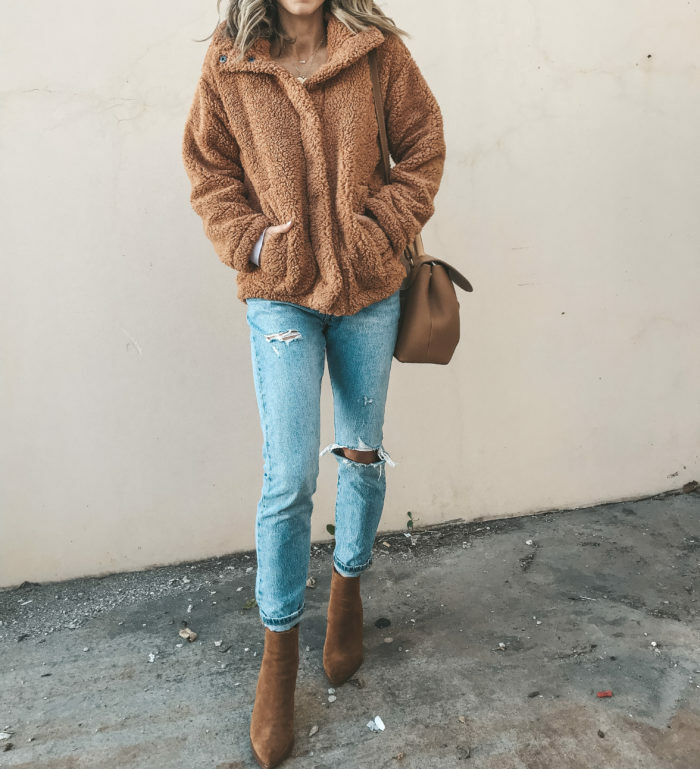 This incredibly soft teddy bear fleece jacket that is beyond amazing! The best part is that it’s under $75 and comes in 4 colors. This one will sell out fast so I wanted to share it before it’s gone! It fits a little oversized, which I like. 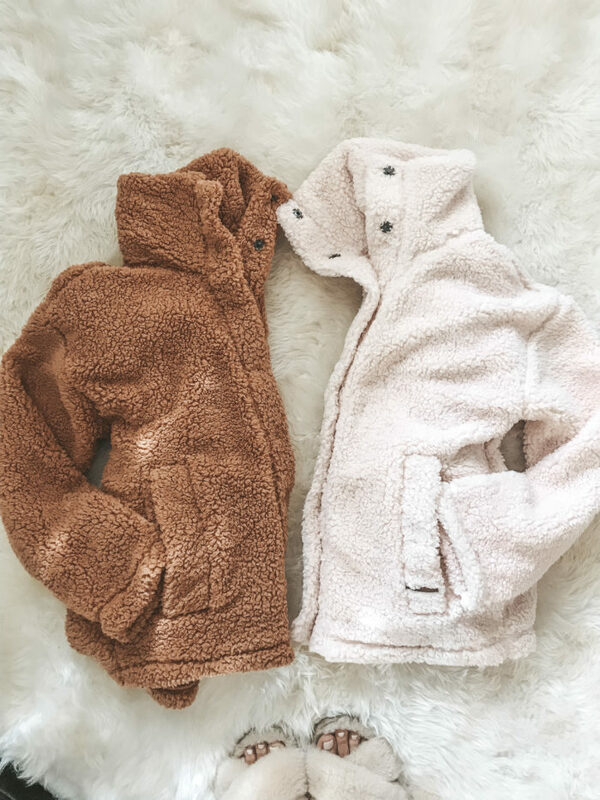 It makes it nice and cozy and can fit over sweatshirts or sweaters. I am wearing a size small here. I also purchased it in the blush pink and black! So good for to and from, or lounging around the house! You girls will thank me later!! 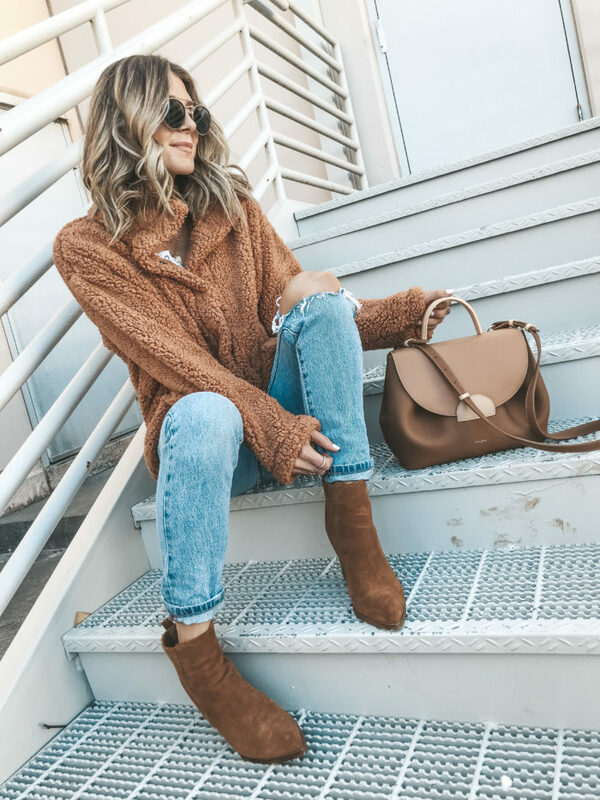 This one you will be living in all fall and winter long! It looks like a giant teddy bear! It’s so fluffy! Love that color!!!! And it looks sooo cozy!!! Thanks Becky! Just ordered it in the Toffee shade! Xo!